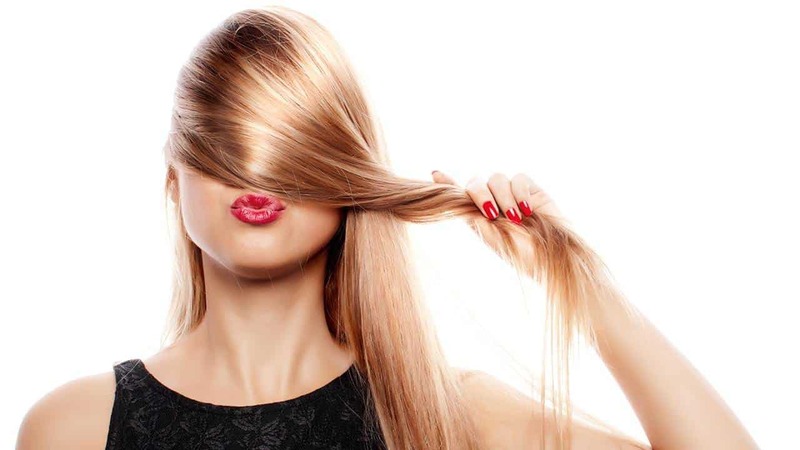 Our hair is the crown of our heads, many times it’s the first thing people notice about us and for many women, hair care is not only essential and crucial but can be problematic. Many issues can affect the hair, such as dryness, damage from hairdryers and coloring, frizziness, split ends, and other irritating stuff that makes our hair look not so good. There are many ways to prevent these issues and also many tips for hair care, like Seasonal Hair Care that will ensure that your hair retains its beauty, shine, luster, and health. Here are some important tips for hair care that will help you do just that. And if you are considering cutting your hair short, make sure to browse our many Short Haircuts Pictures. Water is an essential element of the hair strand, and in fact, one strand of hair is ¼ of its weight in water. Water provides the vital moisture that hair needs. Don’t let your hair go to the point where it’s dying of thirst. So drink plenty for your body and hair. Protein is essential for hair care. Protein will give the shaft of your hair more strength and will reduce the likelihood of split ends and breakage. You can get protein from all types of food such as cheeses and other dairy products like milk, cereals, fish, chicken and meats, seeds, beans and legumes. Vitamin A, which is great for the skin is also good for hair care in maintaining a healthy scalp. Many vegetables are Vitamin A rich, especially carrots. For hair growth as well as color, Vitamin B and C are the best sources for that type of hair care. These vitamins provide for strong hair strands and prevent split ends. Many fruits (especially citrus, like oranges), veggies, eggs, and bread have these vitamins naturally or you can always take in pill form. Iron is essential for distributing oxygen for the hair. A lack of iron in hair means the follicle will suffer and note have enough oxygen. When follicle lacks strength the roots is much weaker. Eating iron-rich foods, such as red meat, and green leafy vegetables, such as spinach, as well as taking some iron supplements is a great way to take care of the hair. If you would like to prevent hair loss and excess shedding, then you need to take in some Zinc, which enables the building of protein. Seafood items, like shrimp, crab and shellfish, as well as meat products are full of Zinc. The mineral, Copper helps hair care in relation to pigmentation. In fact, Copper is very useful in enhancing your natural hair color and making it brighter and more color rich. Again, shellfish is full of Copper, as well as vegetables, nuts and other seeds, liver, and meat. Hair care is always important, but during different certain seasons, like fall, winter and summer, hair care brings different challenges mainly due to environmental elements. For a full guide to seasonal hair care tips, please see Seasonal Hair Care. Fall is a time of bareness and the hair can start to fall out more and have more shedding the same as the leaves dropping to the ground from trees. Using a rich and moisturizing conditioner in the fall especially is a great for hair care and make sure to keep it soft and healthy. A good conditioner will always retain moisture, resilience and shine. My favorite product is the Suave Salon Care Humectant shampoo and conditioner, it is a generic type version of the Nexus Humectant line and costs about $2 a bottle, works great and provides, moisture and smooths and clams the hair. Applying oil to the scalp and using a deep oil treatment will help keep it properly conditioned, dandruff free and prevent irritation and dryness of the scalp. The oil is especially good for those who have damage and a lot of dryness. VO5 Hot Oil Treatment is still a great product, been around for years and costs very little. The cold of winter can add more dryness and damage to hair. Again retaining moisture is crucial and will help to maintain shine and health for hair. Summer is very fun, but all the swimming and exposure to the sun can take a heavy toll on the hair. Chlorine and sun can cause a lot of damage and make otherwise soft, shiny and supple hair appear, dry, worn out and look like dry sticks. It is crucial to the condition in the summer and keeps the hair highly moisturized. Deep conditioners and leave on conditioners are two great options for hair care in the summer. Frizzy hair is one side effect of the summer fun. Using a quality keratin treatment can make the hair much softer and more frizz free. Also, if you go to your local drug store, or Walmart you can find many shampoo and conditioner products that prevent frizzing and come in a “smoothing” version. Regular washing and hair care is important. This does not always mean that you have to wash your hair everyday, though many women do. But good hygiene is important to keep the hair healthy and is an essential part of hair care. The hairbrush is an essential element in good hair. Many women do not realize this and use brushes that have harsh and cheap bristles. You get what you pay for, when it comes to hair brushes. A lot of damage can happen when brushing hair that is wet, and using cheap brushes, as well as metal combs. Do yourself a favor and invest in a really quality brush that may cost more, but will help to keep your hair looking its best. Get one that has protective bristles and not those cheap ones that pull and yank the hair and weaken the roots. As previously stated, always use a quality hairbrush. Use a big tooth comb for brushing wet hair and stay away from the roots. If you are getting frizz, make sure that you are using a brush with correct bristles. Some styling brushes, like those round ones with the fuzzy bristles can easily frizz your hair out. For short haircuts, it’s best to utilize a Paddington brush that has soft protective bristles. Medium length hair is best served with a Paddle Brush that comes with soft bristles that protect the hair. This brush will be good for blow styling as well as dry brushing. For very long hair and any that extends past the shoulder, a loose toothed as well as a big rounded brush is best. Smooth Hair: Hair Balsam or Conditioner? Why is the hairspray harmful? Heidi on Static hair: what to do to get rid of it? Victoria on Static hair: what to do to get rid of it? I have very pleasant impressions after the visiting of the cafe. The interior is interesting, the hall is clean. The staff was attentive, benevolent and prudent. The menu seemed boring, but all the dishes were delicious. Especially I liked the grilled steak of the salmon, and it was terrifically delicious. If you are not a fan of author's cuisine, but just want to spend an evening with friends, then, of course, this place is for you. Copyright © | 2018 Hair Madness Salon | All rights reserved.